Friday night came earlier than expected. My boss saw me sitting at my desk, counting down the seconds until 5pm and asked me if I was bored. As I try to be honest, I had finished all the work I could possibly do at 4, and it was 4:30. I spend a half hour trying not to blatantly stare at the clock. So I said, yes I’m bored. He responded “if you don’t have anything to do, go home! It’s been a long week and I know you don’t feel good.” (Yes, I felt like crap all week and on top of that we have two less people in our office because they quit. And I keep getting nasty phone calls about things they were supposed to do and didn’t.) So instead of leaving work at 5 on Friday, I got HOME at 5 on Friday… which is when Josh got off work, so we got to be together a whole 30 minutes early. Happy Friday to ME!!! We had frozen pizza, took a meal to a sick friend, I did some sewing, and we watched a lot of Parks and Rec. At 2pm, we went to view a townhouse/duplex situation that we really like. It’s about 3 miles from SEBTS, on a quiet road, in a wooded area, with plenty of parking. The home itself is completely renovated… hardwood floors downstairs, carpet upstairs. A REAL LIFE SIZE OVEN. A dishwasher. An open floor plan downstairs, 1 and ½ bath, 2 bedrooms, plenty of closet space, a small front porch and a big back porch, yard work and water included in rent… I love it. Also, the guy showing it to us told us some probably confidential information about the other people who have applied, so basically we know we’re the best candidates. I can’t lie. 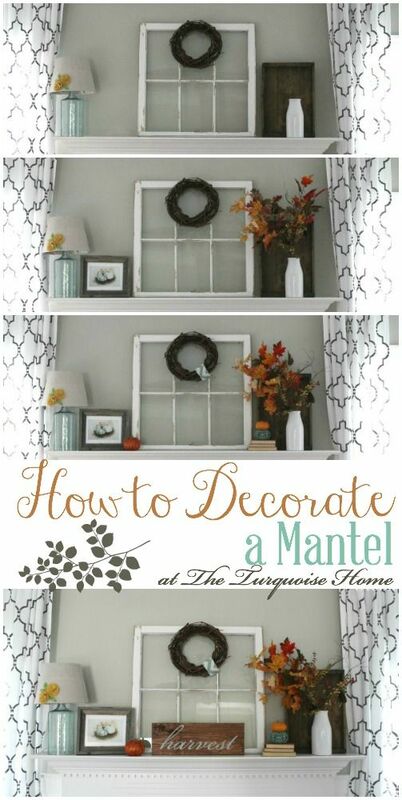 I’ve been shopping for kitchen tables and Pinteresting “how to decorate a mantle” (did I mention there is a fireplace?). I want this to be it. I want the search to be over. I know that if this is where we’re supposed to be, it will happen…. it just scares me how much I love this place. So, pray that we will have peace as we wait to hear, and pray that if this isn’t the place for us that we won’t be discouraged. We spent the rest of Saturday spending time together and then we played board games with our friends, Tom & Charissa. It was supposed to be a guys/girls night but people couldn’t make it… so it turned into a couples night. Which was so fun. I’m so thankful for these friends. Sunday, after a rough night of sleep, we got to church bright and early for nursery duty! Yes, I had to change six diapers. Honestly, it was a fair trade for being able to spend a couple of hours with those kids. I used to work in child care, and I was a nanny, and I was also a behavioral therapist… kid-centered jobs. Now I work with a bunch of people who behave like children. I’ve missed the ACTUAL children. The little girl I held spilled apple juice all over me, and I was her safety zone. If I even thought about putting her down, her world crumbled apart. One day we’ll have our own kids… meanwhile, the nursery was awesome. Sunday afternoon, I watched the Browns victoriously smash the Steelers into the ground and send them home crying. I think Josh enjoyed this because I’m not good at trash talking at all but was determined to hurl insults at the tv screen, and for the obvious reason, I was watching football with him. That’s a big deal. I was actually watching it. After that excitement, I went to catch up on a tv show and left Josh to study for Greek (his midterm is on Wednesday). Then we went to the store to buy soup (my throat is killing me) and Josh made me grilled cheese, and we watched Alias until I couldn’t keep my eyes open anymore (umm that was until 8, and then I forced myself to stay up until 9 so I wouldn’t wake up in the middle of the night). My sweetheart made my lunch, so I got to sleep a little later than normal, and now I’m at work. We’re submitting the application for the townhouse today or tomorrow, so that’s super exciting. Tonight we’re having Cincinnati chili and I will be chugging hot tea. Josh reminded me I usually get sick twice a year (I said “How do YOU know?” He looked at me, and said lovingly “I’ve known you for three years. It’s like clockwork.”), so I guess I’m doing my sick time. Hopefully it will pass soon. And hopefully the campus leaf blowers will stop blowing leaves outside my window at 6:20 am. It would really be nice if I could wake up to my alarm, not a leaf blower. Thanks. I am so thankful for you, and the way you have taken care of me this week. I know I haven’t been a delight to take care of, but you have been so sweet. Thanks for sitting around with me and doing things for me because I felt so crappy. Also, I am super excited that we may have found our new home. It’s SO exciting that you loved it as much as I did!!! It feels like such a huge step, and I am still sad about moving out of our first home, but there are only bigger and better things waiting. And… I loved seeing you make all those kids laugh. My favorite part was when you crawled around and they all followed you in a line, giggling.